Last month, our nation did what we’ve only done a handful of times — said a final goodbye to a president. In ceremonies public and private, coupled with a national day of mourning, we celebrated the life of President George H.W. Bush. Reflecting on someone’s life provides a perspective that levels things out. It’s not that we forget their shortcomings; it’s more that we forgive them as we consider the whole of their time with us. President Bush lived quite a life. Any one of his positions would serve as the crowning achievement for most of us. That he attained the presidency, however, wasn’t his most cherished goal. He served in many other roles: naval aviator, congressman, CIA director and vice president. How he wanted to be remembered was more important than the position — whether as father, grandfather or even president of the United States. It was to be a decent and honorable man in every situation or vocation. The Tennessee Electric Cooperative Association invited presidential historian and Pulitzer Prize-winning author Jon Meacham to speak at our annual meeting in November. You can view the highlights of that event below. If you don’t think that’s how a leader should act, you’re doing it wrong. As we enter a new year, we still face the same challenges with which we ended 2018. Politically, we have new leaders who will have to deal with economic, budgetary and social issues that impact us all — and each other. There is no indication that dealing with any of these issues is going to be easy or dealt with quickly. The problems might not be as challenging as how we approach them. Let’s hope our current leaders have the wisdom to follow Bush’s example: the nation over politics, people over party. You don’t have to be president to have an impact. In everything you do, you can have an impact on someone else. In fact, if you do as Bush did and “tell the truth, be strong, do your best and forgive,” I guarantee it will have an impact on everyone with whom you come in touch. I’ve said it before — we can disagree without being disagreeable. Let’s at least begin 2019 with that attitude. Go with your best instinct, and let that instinct be one of kindness. The 2018 annual meeting of the Tennessee Electric Cooperative Association was held Sunday, Nov. 18, through Tuesday, Nov. 20, in Nashville. 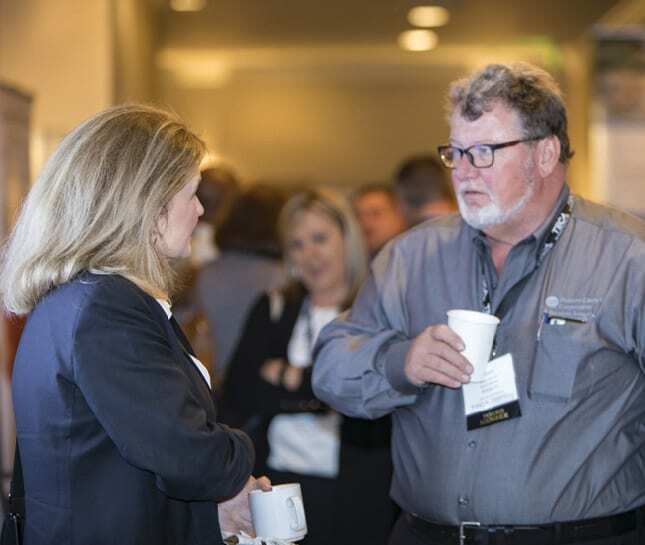 The event brings community and co-op leaders together to discuss energy, broadband, community development, technology and other issues important to Tennessee’s electric cooperatives. This event is designed to help local co-op leaders better serve their co-ops and their communities, and we applaud their investment in education and training. Presidential historian Jon Meacham talks about the strength of our nation and the dangers of partisanship. A panel of community leaders help co-ops understand how to better support the areas they serve. TECA CEO David Callis, left, and Board President Michael Watson discuss opportunities during the business meeting. A panel of co-op directors describe their decisions to invest in broadband. Dr. Peter Muhoro with the Cooperative Finance Corporation highlights new technologies that will impact electric co-ops. TECA Board President Michael Watson challenges co-op leaders to engage with their communities. Co-op directors and staff network and share ideas during the annual meeting. 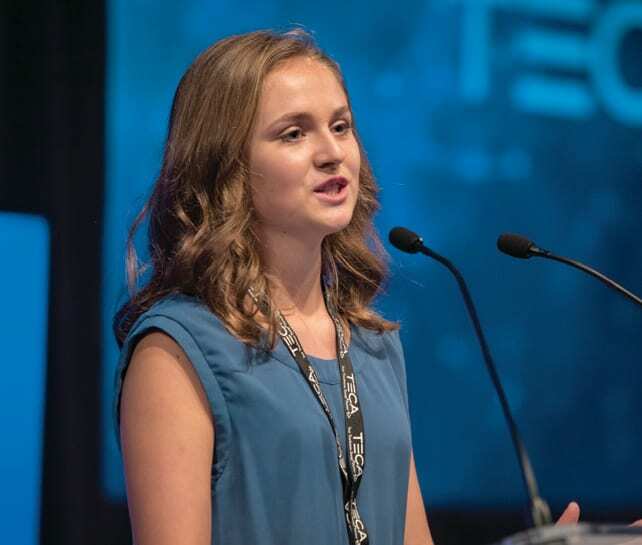 Washington Youth Tour delegate Maria Howard talks about the impact the trip had on her life. NASHVILLE – Three Tennessee electric co-ops will receive almost $3 million to help expand broadband availability. Gibson Electric Membership Corporation, Holston Electric Cooperative and Meriwether Lewis Electric Cooperative each submitted winning bids in the most recent Federal Communications Commission Connect America Fund II (CAF II) reverse auction. Over the next ten years, Gibson Connect, a subsidiary of Gibson EMC, will receive $1.22 million, Holston Connect, a subsidiary of Holston EC, will receive $530,000 and ML Connect, a subsidiary of Meriwether Lewis EC, will receive $1.18 million. These three Tennessee co-ops were among 35 nationally that will receive $225 million to help defray the costs of deploying broadband in underserved areas. The CAF II auction marks the first time that the FCC allowed electric cooperatives to bid for funding as broadband service providers. [NASHVILLE] – On Thursday the Trump administration released details on a reform plan that would reorganize multiple federal agencies. Among the recommendations included in the report was a proposal to sell the Tennessee Valley Authority’s transmission assets. For more than 50 years electricity sales, not government appropriations, have paid for the operation and maintenance of TVA’s assets. According to 2013 study by the Howard H. Baker Jr. Center for Public Policy, TVA has returned to the U.S. Treasury more than $3 billion on the government’s original investment of $1.4 billion. Tennessee’s electric cooperatives serve 71 percent of the state and more than 2.5 million consumers. The Tennessee Electric Cooperative Association provides leadership, advocacy and support for Tennessee’s 23 electric cooperatives. The association also publishes The Tennessee Magazine, the state’s most widely circulated periodical. Visit tnelectric.org or tnmagazine.org to learn more. Tennessee Gov. Bill Haslam, Department of Economic and Community Development Commissioner Bob Rolfe and Monogram Refrigeration, LLC officials recently announced that the company will expand its manufacturing facility in Selmer. Monogram, a leading manufacturer of upscale refrigerators, freezers and other refrigeration products, will invest $9.3 million and create approximately 210 new jobs in McNairy County. The company’s manufacturing facility has been located in Selmer since 1986. Monogram is a subsidiary of GE Appliances (GEA), a Haier company, a leading U.S. manufacturer of household appliances. With this expansion, Monogram will be adding 120,000 square feet to its existing building in Selmer. In addition to a new line of column-style refrigerators and freezers, Monogram will begin manufacturing packaged terminal air conditioners (PTACs), a line of commercial heating and cooling products sold under the Zoneline® brand. Production of the new refrigeration products will begin later this year and production of the new Zoneline air conditioning units will begin in early 2018. Selmer and McNairy County are represented by Sen. Dolores Gresham (R – Somerville) and Rep. Ron Gant (R – Rossville) in the Tennessee General Assembly. Working late into the evening, the 110th General Assembly completed its work and adjourned SINE DIE on Wednesday, April 25, 2018. At least, we think they did (see below). It was a successful session for Tennessee’s electric cooperatives. Two significant pieces of legislation championed by co-ops are now law, and numerous bills with negative impacts were defeated. Given that the final hours included acrimonious debate between the chambers, tension between the House and Senate was high. The first bill of the final day became the final bill of the session, as it required two separate Conference Committees to reconcile differences in the language. What was so unusual was that the committees produced the same legislative language in their reports. The first one failed when voted on by the House, the second (and identical) one passed several hours later. However, the more detail-oriented Capitol watcher may wonder whether or not adjournment actually took place. According to the State Constitution, the legislature can only adjourn if either the House or the Senate passes a joint resolution and the other body concur in the same resolution. That is not what happened in 2018. After the long and sometimes bitter final day, both chambers passed their own resolutions and neither body formally endorsed the other one. Barring a constitutional crisis, don’t expect any members of the legislature to call for their colleagues to return to Nashville to correct the formality, though. Election season has now begun. The summer and fall of 2018 will likely see record amounts of campaign activity. Six republicans, three democrats, and 26 independent candidates have filed petitions to be listed on the ballot to become Tennessee’s 50th governor since the term-limited Bill Haslam is unable to seek a third term. A competitive race to replace the retiring Bob Corker in the United States Senate could have national implications in terms of which political party controls the majority of seats. These two statewide races alone could result in over $50M of campaign spending as television commercials and direct mail pieces flood the state. Additionally, three of the nine members of the United States House of Representatives are either retiring or seeking other office. This means the citizens of their districts will have the opportunity to elect new members of Congress. In the case of the 2nd Congressional District, in Knoxville and surrounding areas, it will be the first time since 1965 the Congressman will not hav the last name Duncan. And now that the legislature has adjourned, state candidates are free to join their federal counterparts and fully engage in fundraising activities. Many primary elections will immediately kick into high gear, as the high degree of change could result in as much as one-third of the state legislature being new in 2019. Among state representatives who represent districts that include a electric cooperative, only two incumbent House members are running for re-election without opposition. This election season will test the ability of co-ops to effectively engage with their legislative delegations. TECA staff stands ready to help member electric systems connect with candidates and demonstrate cooperative principle number seven – Concern for Community. Short summaries of the major issues that were enacted into law are provided below. In addition to the summaries provided below, you can view the final bill reports for this session, which include information about numerous pieces of legislation that were defeated throughout the year (smart meters, round up programs, utility board composition, and others). The State House and Senate approved legislation that will ensure efficient use of cooperative infrastructure for the provision of telecommunications and broadband services. After passage of the Broadband Accessibility Act in 2017, electric cooperatives were allowed to sell retail broadband services for the first time in their history. However, as many co-ops began to examine the possibilities a significant stumbling block to providing these services needed to be removed. The fastest route to building broadband networks is for a cooperative to utilize its existing poles and routes of electric line for installation of new fiber-optic cables. However many of those routes cross private property, where the easement allowing access to the property was either prescriptive or limited to the provision of electric energy. This same issue has been the subject of significant litigation in Missouri, so TECA’s government relations team set out to change state law. Senator Ken Yager (R-Kingston) and Representative Gerald McCormick (R-Chattanooga) filed legislation to ensure that any easement used by a cooperative for the provision of electric energy could also be used for the co-op’s secondary purposes. Thankfully, the General Assembly listened and passed Senate Bill 1646. After consideration by seven committees as well as the full House and Senate, the bill was approved unanimously. While other states have struggled with this issue, this legislation serves as a fantastic example of how electric cooperative’s unified voice can make a real difference at the Capitol. Click here to see the final version. In response to an anticipated rule-making from the Department of Revenue, TECA joined with TMEPA, the Tennessee Gas Association, the Tennessee Association of Utility Districts, and the Tennessee Municipal League to propose legislation that prohibits the Department from applying sales tax to many fees charged to commercial and industrial utility customers. These fees, such as connection fees, have never before been subject to sales tax. The bill was sponsored by Sen. Ken Yager (R-Kingston) and Rep. Steve McDaniel (R-Parkers Crossroads). Thankfully, the legislature listened. After some initial procedural uncertainty due to the bill’s effects of “forgoing” revenue to the state, the bill sailed through committees with broad support. It was enacted and made the law of the land on April 27. Titled the “Competitive Wireless Broadband Investment, Deployment, and Safety Act of 2018,” legislation that was intended to promote the deployment of small cell technology to facilitate 5G wireless services was passed after significant behind the scenes negotiation. However, those negotiations never spilled over into the legislative process as committee meetings saw little public fanfare over the issue. The new law creates minimum standards for local governments to create siting requirements for small wireless facilities, and effectively prohibits local governments from imposing stricter requirements than those prescribed in the legislation. It also creates a maximum annual rental fee that local governments may charge for allowing this equipment to be attached to its buildings, water towers, traffic signals, light poles, etc. Importantly, the language exempts electric cooperative (and all other electric distribution) infrastructure from the effects of the bill. Recognizing the need for the State’s investment in ensuring broadband becomes available for all Tennessee citizens, Governor Haslam included $10M in his original budget proposal for the Tennessee Broadband Accessibility Grant Program which is administered by the Department of Economic and Community Development. Rep. David Hawk (R-Greeneville) and Sen. Ken Yager both presented amendment requests to their respective finance committees, at TECA’s request, that would increase the fund. Additionally, Governor Haslam recommended an additional $5M of funding through his requested supplemental amendment to the budget. At the end of the day, the budget passed by the legislature includes a total of $15M of broadband grant funding. The department will begin accepting applications in mid-July. To learn more about the program, visit ECD’s website. 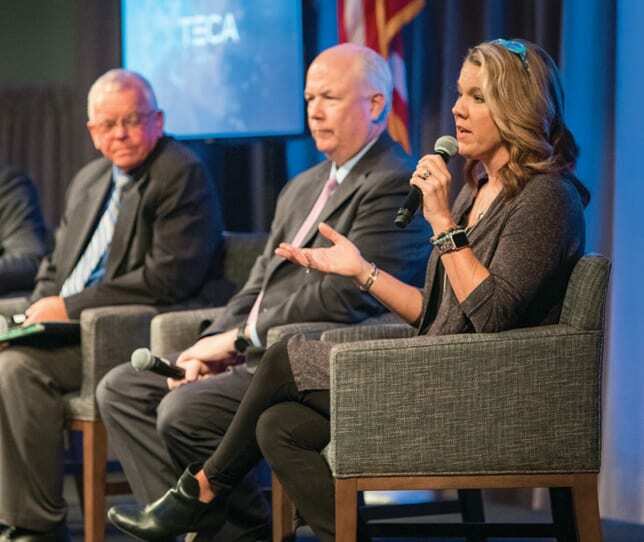 At the end of March, TECA participated in Broadband Summit with the Governor and ECD. See the story here. We appreciate the dedication that Governor Haslam and his administration has shown to electric cooperatives and their involvement in broadband. NASHVILLE – More than 60 co-op leaders from across Tennessee traveled to Washington, D.C., on Tuesday and Wednesday, April 10 and 11, to meet with members of the Tennessee congressional delegation as a part of the National Rural Electric Cooperative Association’s annual legislative conference. In meetings with legislators, co-ops leaders encouraged lawmakers to support the Farm Bill and rural development programs, reject the administration’s proposal to sell TVA’s transmission assets and dedicate funding for rural broadband and other infrastructure projects. Lawmakers were also invited to visit their local co-ops to meet employees, attend annual meetings or tour co-op facilities. Meetings were held with Senators Alexander and Corker and Representatives Black, Blackburn, DesJarlais, Duncan, Fleischmann, Roe and Kustoff. 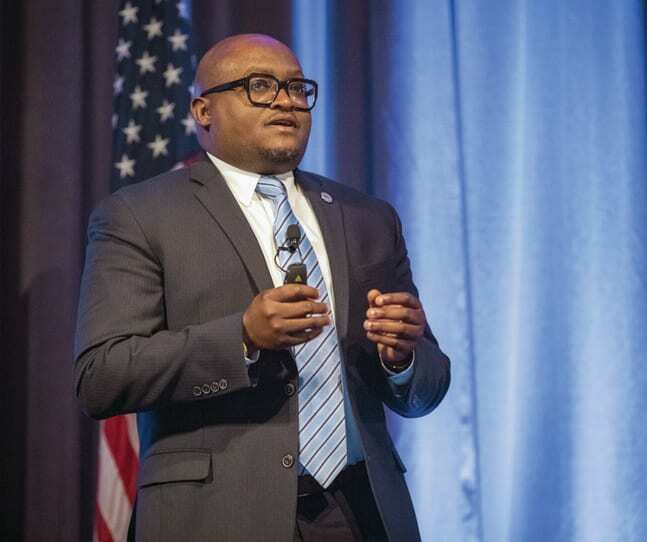 NASHVILLE – On Tuesday, March 20, the BroadbandUSA Program, in partnership with the Tennessee Department of Economic and Community Development, hosted a Broadband Summit in Nashville. Gov. Bill Haslam along with other presenters discussed the importance of broadband and explored ways to increase deployment. On Tuesday Gov. Haslam announced several budget amendments including an additional $5 million in nonrecurring broadband accessibility grants, in addition to the $10 million originally included in the FY 18-19 budget. Gov. Haslam addresses attendees at a Broadband Summit hosted by the Tennessee Department of Economic and Community Development on Tuesday, March 20. Photo via Gov. Bill Haslam on Flickr. This week was make-or-break when it came to bills getting passed through House and Senate Committees. The committee’s calendars were long and many bills heard this week had organized opposition for the first time. After several weeks of committee Chairmen deferring bills that demonstrated any controversy or debate, a large number of bills finally failed or were sent to summer study, where recommended compromise legislation for 2019 can be formed. Oftentimes, these summer study committees never actually meet. With close to 1/3 of the Legislature retiring or seeking other elected offices, 2019 will bring many new faces to the General Assembly. This means new committee chairmen will be appointed, House and Senate leadership positions will change and new issues will be brought to the table by new leaders. Retiring legislators that have been passionate about certain issues will no longer be around, so many bills that fail this year may never return. At least in their current form. Newly elected Senator Shane Reeves (R-Murfreesboro) was sworn into office on Thursday in the Senate Chambers. In attendance for the ceremony were Gov. Bill Haslam, Sen. Reeve’s wife and his three children. Reeves won a special election on Tuesday to fill the vacant seat, formerly held by Jim Tracy. The unofficial results indicated that Reeves received 13,130 votes, while Gayle Jordan received 5,179. Reeves is a pharmacist by trade, the former owner of Reeves-Sain Pharmacy, and the CEO of TwelveStone Health Partners. Two “smart meter” bills that have been repeatedly deferred in the House Business and Utilities Subcommittee over the last few weeks have finally been disposed of for the year. The first bill, sponsored by Rep. Andy Holt (R-Dresden), would have removed universal use of advanced metering technology and would prohibit the recovery costs imposed by members who refuse the technology. A less restrictive amendment was prepared by Rep. Holt, but he decided to refer the bill to a summer study instead of taking a vote. The second bill, sponsored by Rep. Antonio Parkinson (D-Memphis), would have prohibited a utility from charging its customers who have a smart meter a reconnect fee if the service was disconnected due to nonpayment. His argument was that since many utilities are no longer sending out employees in trucks to reconnect customers’ service, the process is like “flipping a switch” and requires no labor or costs. Therefore, the customer should not be charged any fee. TECA and other industry partners tried to explain to the sponsor why such charges are necessary, but he was insistent in his argument. The bill failed 2-7. Rep. Joe Towns’ (D-Memphis) bill regarding round-up programs was taken off notice this week in the House Consumer and Human Resources Subcommittee after 4 weeks of deferring the bill. As originally drafted, the bill would deem any person, governmental entity or other legal entity that rounds up a customer’s bill for goods and services without obtaining the customer’s express, written permission to opt-in to such a billing procedure to be unlawful and an unfair trade practice. After speaking to interested parties that opposed the bill, Rep. Towns drafted an amendment which would continue to permit opt-out programs, but would put into place strict reporting requirements on the funds raised. This amendment also received scrutiny from the same interested parties and was never voted on. Finally, on Wednesday, Rep. Towns presented another amendment which excluded most entities from the bill, including electric cooperatives. Still though, the bill had received such negative responses from all stakeholders, the subcommittee members decided not to take action. Rep. Clark Boyd (R-Lebanon) requested that the sponsor take the bill off notice and offered to help him co-sponsor legislation next year pertaining to this issue, but that will be friendlier to the parties involved. The sponsor agreed. If such legislation is to be introduced again next year, TECA will be involved in discussions and provide input that represents electric co-op interests, and will continue working to protect co-op round-up programs across the state. After consolation with TECA staff, Sen. Ken Yager (R-Kingston) and Rep. David Hawk (R-Greeneville) have proposed an amendment to Governor Haslam’s budget to increase the Broadband Accessibility Grant Fund. The Governor’s budget requested $10 million, and the amendment seeks to appropriate an additional $10 million (for a total of $20 M) for next year’s grants. Each year, there are hundreds of budget amendments seeking to add billions of dollars to the state’s spending plan. 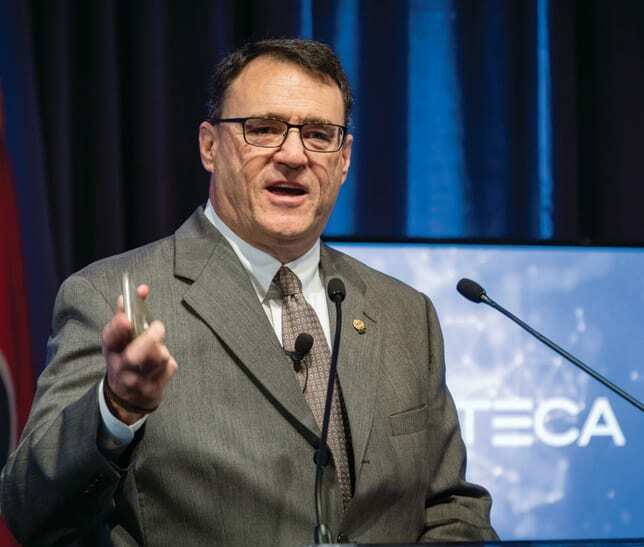 With the first year’s requests to the Broadband Fund exceeding $60 M and an expectation that year two will see an even higher number of requests, TECA is optimistic about the opportunity to increse the Fund’s budget. However, approval of the budget is typically the last major action taken before the legislature adjourns for the year. So it will be another month, or so, before the final decision is made. For the remainder of the second session of the 110th General Assembly, View from the Hill will be published bi-weekly. The State House and Senate have approved legislation that will ensure efficient use of cooperative infrastructure for the provision of telecommunications and broadband services. After passage of the Broadband Accessibility Act in 2017, electric cooperatives in Tennessee are now allowed to sell retail broadband services for the first time in their history. However, as many co-ops began to examine the possibilities a significant stumbling block to providing these services needed to be removed. Thankfully, the General Assembly listened and passed Senate Bill 1646. After consideration by seven committees as well as the full House and Senate, the bill was approved unanimously. The new law will become effective upon the signature of the Governor, which is expected to take place in the coming days. While other states have struggled with this issue, this legislation serves as a fantastic example of how electric cooperative’s unified voice can make a real difference at the Capitol.